Friday, April 19, 2019: During SOU open visiting, the facility will be hosting a Volunteer Appreciation reception from 1:00 p.m. - 3:00 p.m.
Saturday, April 20, 2019: During TRU open visiting, the facility will be hosting a Freehold Theatre Performance from 1:00 p.m. - 3:00 p.m.
Saturday, April 27, 2019: WSRU visiting will be closed 11:30 a.m. - 5:30 p.m. for the Annual Christian Easter Observance. Saturday, April 27, 2019: TRU visiting will be closed 11:30 a.m. - 4:30 p.m. for the Annual Christian Easter Observance. Saturday, April 27, 2019: MSU visiting will be closed 6:00 p.m. - 8:30 p.m. for the Annual Christian Easter Observance. Saturday, April 27, 2019: SOU visiting will be closed 4:30 p.m. - 7:30 p.m. for the Annual Christian Easter Observance. Saturday, May 4, 2019: WSRU visiting will be closed 11:30 a.m. - 4:30 p.m. for the Annual Pagan Observance. Evening processing to begin at 5:30 p.m.
Saturday, May 4, 2019: SOU visiting will be closed 4:30 p.m. - 7:30 p.m. for the Annual Pagan Observance. Saturday, May 11, 2019: WSRU visiting will hosting a Family Worship Service prior to open visits from 9:30 a.m. - 11:30 a.m.
Monday, May 13, 2019: TRU visiting will be closed 11:30 a.m. - 4:30 p.m. for the Annual Buddhist Observance. Evening processing to begin at 5:30 p.m.
Friday, May 17, 2019: SOU visiting will be closed 12:30 p.m. - 3:30 p.m. for the Parent's Day Observance. Evening processing to begin at 4:30 p.m.
Saturday, May 18, 2019: TRU visiting will hosting a Family Worship Service prior to open visits from 8:30 a.m. - 11:30 a.m.
Saturday, May 18, 2019: WSRU visiting will host Girl Scouts Beyond Bars prior to open visits from 10:30 a.m. - 1:30 p.m.
Saturday, May 18, 2019: TRU visiting will be closed 12:30 p.m. - 4:30 p.m. for the Parent's Day Observance. Evening processing to begin at 5:30 p.m.
6:00 p.m. – 8:25 p.m.
Mike Obenland started his career in Corrections in 1989 as a Correctional Officer working at Clallam Bay Corrections Center and then at the Washington State Reformatory before the merger of what is now known as the Monroe Correctional Complex. He has worked through the custody ranks and held the positions of Sergeant, Lieutenant and Captain. In 2009 he was promoted to Associate Superintendent at Clallam Bay Corrections Center and then Superintendent in 2013. In April 2015, he became Superintendent of the Monroe Correctional Complex. 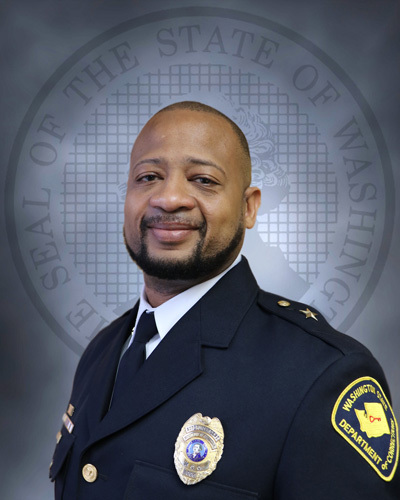 During Obenland's years at the Washington Department of Corrections, he has worked at five correctional facilities, some of them twice, and at all custody levels. He has a vast knowledge of prison operations and emergency response, having been involved in multiple events throughout his career. Jack Warner began his career in Corrections in 1989 as a Correctional Officer at the Washington State Reformatory. He promoted through the ranks of Sergeant, Lieutenant, and Captain, as well as an Investigator in the Intelligence and Investigations Unit. Jack was promoted to Associate Superintendent of SOU/IMU in 2013. Jack has an extensive history of Emergency Response dating back to 1991 when he became a member of the MCC Special Emergency Response Team (SERT), where he remained a member for the next 20 years. Jack has taught Emergency Management for many years and currently has oversight of MCC's Specialty Teams. Jack is currently pursuing a degree in criminal law. 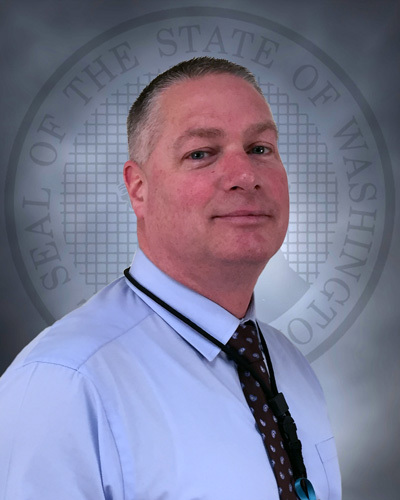 Eric Jackson began his career in Corrections in 1993 as a Correctional Officer at McNeil Island Corrections Center. Since then he has served in various positions such as Correctional Sergeant, Classification Counselor, Correctional Unit Supervisor, and Correctional Program Manager. In 2010, Eric was appointed Associate Superintendent of Programs at Stafford Creek Corrections Center. Eric also served as SCCC's PREA Liaison, Chair of the Diversity Advisory Council and started a mentorship program to help prepare staff for future leadership roles. Eric received his Bachelors of Arts degree from Evergreen State College. He was appointed Superintendent at the Twin Rivers Unit, Monroe Correctional Complex in October 2015.